1 What is lacunar infarct? Lacunar infarct is termed as silent killer as it often cause death without giving prior symptomatic intimation. Lacunar infract arises due to restricted circulation in the brain. Lacunar infract is the outcome of blockage of small blood vessels which is present in the brain. Lack of oxygen supply often causes brain cell narcosis. The affected area of the brain is comparatively small, it may extend up to 3 mm to as much as 2 cm but it leads to significant damage in the central nervous system. Progression of lacunar infarct often leads to major artery blockage in the brain and brain stock follows. Complete or partial restricted movements due to paralysis of face, hand and feet. Skeleton muscle movement become dawdling due to severe fatigue. Ability to speak may diminish or speech difficulty arises, but without affecting intellectual capacity. Dysphagia due to problematic tongue movement. Discomfited walking style occurs due to numbness in the feet. Physiological factors which causes development of microatheroma or lipohyalinosis and leads to internal obstruction of the small penetrating end-arteries at the base of the brain creates lacunar infarct. Hypertension (increased blood pressure/ High BP) which causes pulsation. The blood vessels mainly arteries do not change their internal diameter with increased blood pressure and easily get affected with hypertension. Atherosclerosis Fat deposition at the inner lining of the arteries and causing obstruction in blood flow. Atherosclerosis may also cause formation of blood clots inside the blood vessels and resultant blockade of blood vessels. The site of clot formation due to atherosclerosis is an important consideration for development of lacunar infarct. Clot formed in heart or other site may travel to reach at the brain. The arterioles (branches of arteries) present in the tiny sectors of brain are very narrow, so the chance of risk associate with “thrombus” formed at cortex leads to lacunar infarct is rare. Internal brain haemorrhage occurs when blood vessels are damaged, internal bleeding takes place and surrounding brain tissues gets damaged. 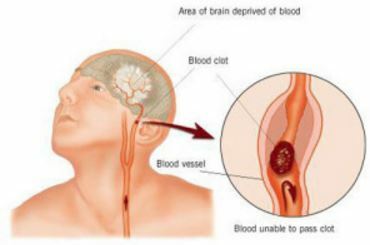 Severe migraine attack may lead to constriction of arteries in the brain and increases the pressure and damages the surrounding blood vessels. Lacunar infarct mostly occurs with other associated health condition, thorough physical checking including blood pressure monitoring, pulse rate, heart rate, body temperature and respiration rate is a regular practice. Other frequent question related to medical history include the status of co-morbidity including diabetes, hypertension, blood cholesterol level and life style related questions like smoking habit, alcohol consumption rate etc. Early diagnosis augments the potentiality of the effective treatment. After initiation of the onset of symptoms if the treatment starts within three hours, then usual therapeutically regimen prescribed by the doctor is blood clot rupturing medication. In case of large artery blockage usual treatment is blood thinning medications such as heparin or aspirin. In case of lacunar infarct, these medications are not frequently prescribed, as blockage occurs in small branch of arteries which is attached with main arteries. It is always advisable that after the incidence happened, patient must be shifted to hospital set up as early as possible. This may help in prevention of development of further complications. To prevent the further attack, blood pressure management is an important factor for hypertensive patient. Doctors usually prescribe different class of antihypertensive drugs which include Angiotensin converting enzyme blockers like Ramipril, angiotensin receptor blockers like Losartan, Beta adrenergic blockers like Metoprolol, calcium channel blockers like verapamil and or combination with thiazide diuretics. Prescription option depends upon patient condition. Blood cholesterol level decrease is another preventive measure for the ‘Statin’ group of drugs like Atorvastatin, which may be prescribed. Blood sugar maintenance is also an important factor for prevention of lacunar infarct in case of diabetic patient. Those who had early incidence of lacunar infarct, for them stroke preventive medications like clopidogrel or ticlopidine which help to maintain the liquidity of blood is important. It is often seen that the rate of reoccurrence is high in case of diabetic and hypertensive patients. 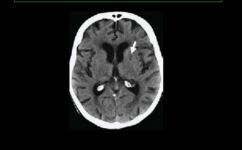 Mortality rate is not so high but impaired judgement, unable to control emotions, dementia, and loss of memory are the frequent observed complications associated with multiple attack of lacunar infarct.